Yes. People who commit hate crime can be prosecuted in the courts. They can be evicted from their homes, fined, be subject to an ASBO or be imprisoned for anything from 6 months to 14 years depending upon the severity of the crime. Call the police or call into any police station. In an emergency dial 999. Lambeth Council’s ASB Reporting Line is available weekdays 9am to 6pm. Outside of these hours please leave a message and we will get back to you. If you do not wish to leave your details you can report anonymously. Housing: If you are a Council or Housing Association tenant you can report and incident to your Housing Officer. 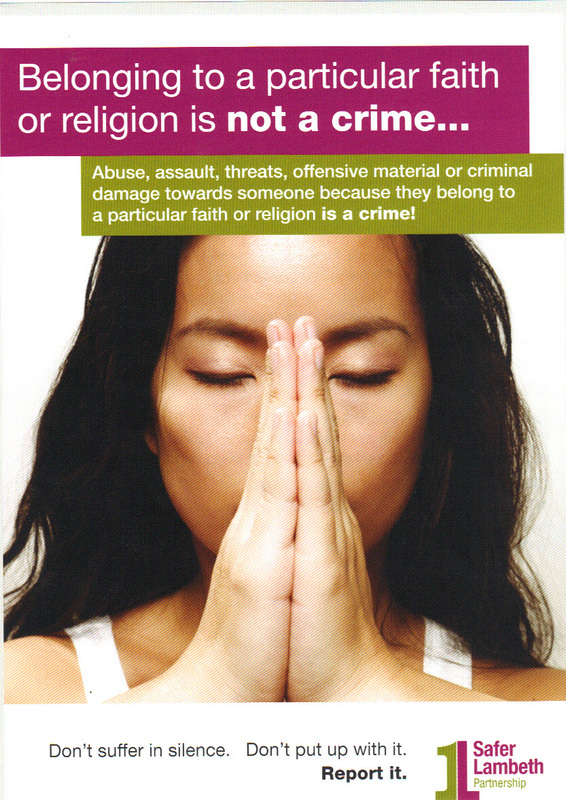 An independent charity with a dedicated hate crimes officer in Lambeth, offering emotional support, practical advice and liaison with other organisations whether or not the crime is reported to the police. 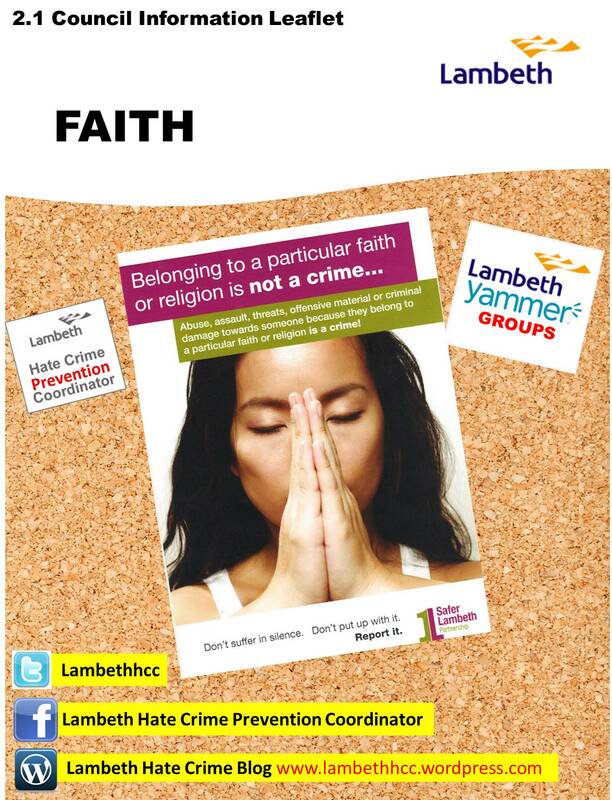 Below is a Faith Map of Lambeth showing faith venues (places of worship) in the borough of Lambeth. Currently 10 local Mosques and 2 local Synagogues have been added, other faith venues will follow in due course.